Last week, rights activists urged European and Muslim nations to take the lead in establishing a United Nations investigation into China‘s detention and “forced indoctrination” of Uyghurs, who speak a Turkic language, and other Muslims in the far-northwestern region of China known as Xinjiang. 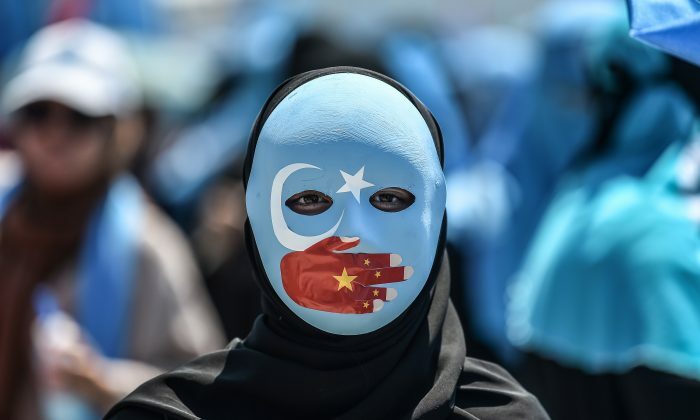 “The policy of systematic assimilation against the Uyghur Turks carried out by the authorities of China is a great shame for humanity,” Turkish Foreign Ministry spokesman Hami Aksoy said in a statement on Feb. 9. China‘s embassy in Ankara posted a lengthy response on its website that said Aksoy’s accusations were false and urged the government to retract them. “Allegations that the Chinese government is attempting to ‘eliminate’ the ethnic, religious, and cultural identity of Uighurs and other Muslims are completely groundless,” it said. Beijing faces growing international pressure as it continues to use the excuse of fighting terrorism and radicalization to persecute Uyghur Muslims. Ankara called on the international community and the U.N. secretary-general to take action. Most recently, Xinjiang residents have told media that some local officials were inviting Uyghurs to a Lunar New Year dinner where pork and alcohol were being served, and threatened to send the invitees to the “re-education centers” if they refused. The consumption of both are strictly forbidden in Islam. Dilxat Raxit, spokesman for the World Uyghur Congress, an organization for Uyghurs in exile, recently told Radio Free Asia that the recent efforts are the Chinese regime’s latest attempts to force Uyghurs to surrender their culture and customs. By Ezgi Erkoyun. The Epoch Times contributed to this report.